Showing results for tags 'rpa'. Meh, most of us don't care... but this is a big deal for many parts of the military, especially for some of the ground pounders that have come to rely on these systems... https://dronedj.com/2018/06/07/department-of-defense-bans-the-purchase-of-commercial-over-the-shelf-uas-including-dji-drones/ Department of Defense bans the purchase of commercial-over-the-shelf UAS, including DJI drones effective immediately “SUBJECT: (U/FOUO) Unmanned Aerial Vehicle Systems Cybersecurity Vulnerabilities (U/FOUO) On May 14, 2018 the DoD Inspector General found that DoD has not implemented an adequate process to access cybersecurity risks associated with using commercial-off-the-shelf (COTS) Unmanned Aerial Systems (UAS). (U/FOUO) Effectively immediately, you must suspend purchases of COTS UAS for operational use until the DoD develops a strategy to adequately assess and mitigate the risks associated with their use. (U/FOUO) In addition you must suspend the use of COTS UASs until the DoD identifies and fields a solution to mitigate known cybersecurity risks. (U/FOUO) I hold approval authority for any requests for exemptions, on a case by case basis, to support urgent needs. (U/FOUO) The points of contact for this matter are Ms Ellen M, Lord, Under Secretary of Defense for Acquisition and Sustainment, and Mr, Dana Deasy, Department of Defense Chiefs Information Officer.” and the ARMY led the way, banning them last year: http://soldiersystems.net/2017/08/05/army-bans-use-of-a-cots-uas-system/ ... So, how long until we "develop a strategy"? What Class Medical For RPAs? What class medical exams are RPA pilots given after they are selected? I recently got selected for Reserve RPA pilot training. I noticed that the threads with information on what training is like are a little dated. Would anyone be willing to share what their experiences at the courses at Pueblo, Randolph, and Holloman were like? Or has not much changed? Just started reading about this yesterday.... And there's not much out there about it. Can anyone please shed some light on this field and what's different (if any) from a regular RPA pilot vs AFSOC RPA pilot? What's the difference in their missions etc? I read so far that there are 2 Special Ops squadrons currently active with RPAs: the 3rd and 33rd SOS. Both based out of Canon AFB in New Mexico, flying Predators and Reapers. I'm a civilian RPA select so please excuse my lack of info.... What are the pros/cons to being AFSOC RPA pilot? How do you get in? Is day to day life any different? Any incentives? 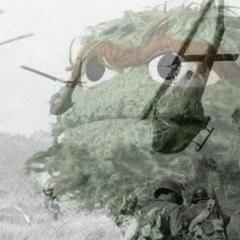 I was interested in AFSOC (enlisted) after not getting selected for OTS my first time around so please tell me more! This thread is in response to all the healthy discussion on an unrelated thread not about the RQ-4, so now there is a thread just for the GH. Hopefully this will help my community fight two battles, the battle to be embraced by big Air Force so we can showcase our capability and the battle to address concerns that we have no capability at all, aka U2 vs RQ-4. So, we would love to integrate in a more meaningful way at Red Flag and tap into our Intel Patch's talent...As it was explained to me, the billet for an organic intel officer was established within the last year. I assume there is an Patch wearer on base but there isn't one in our squadron after former SQ/CC left. I'm relatively new to the squadron so I don't have all the info, and hopefully some other guys will jump in and provide it. What I do recognize is we have NOT demonstrated a commanding capability that cannot be ignored by Nellis...and hence we have been ignored. Maybe we need to work on ourselves before we fight at the big kids table, or maybe we get some more support and we all get better together. #thedream As far as the U2 goes, how do you have an ISR capability fight that is unclass... As a start though, sensor parity seems an inevitable certainty from the simple fact that there is no physical/electrical/aero reason it can't be. Northrup Grumman is going to do the leg work to make it happen, they have a vested interest to do so. There isn't parity now, which is why we keep the U2. Good, our Intel is better because of it, but someday we will have parity and arguing about when that day will be here is boring. My guess is 3 years cause that is what I read on CNN. As far as old fashioned pilotage exploiting U2 capability...you are right, I am not aware of what you are talking about. But I will clarify that every 11X in the Air Force is part pilot part mission manager, your Qual check proves you can pilot, your MSN check proves you can manage. In the RQ-4 you can pass your qual check if on your engine out EP you don't touch anything and just make the appropriate radio calls (phone calls if MCE only ;) Hence a Global Hawk pilot is really a mission manager and not a pilot in my framework...it is semantics. Someday an 18X or even perhaps a Enlisted pilot will use good ol'fashioned mission management skills to exploit superior HAISR capability to that of U2, if only because they can do it at a desk and not in a space suit worrying about stall speeds and that SA-2. List of current shortfalls...cough...quibbling Sensor Parity, Dynamic Inflight routing w/ weather radar (significant software update and minor hardware), reliance on GPS/Satellites I'm tired so if someone else wants to join in we can talk about enlisted pilots too. And I haven't even mentioned all the things that make the GH superior to the U2 so hopefully this thread gets some discussion going. Email traffic has been circulating in the RPA community that manning in going to be "healthy" come late 2016. As a result, the wizards at AFPC are estimating that ALFA tour pilots are going to start being released back to their previous manned aircraft, albeit slowly, starting Spring 2017. As a current non-vol stuck in RPAs, I'm hopeful and excited. I was pulled from AMC only after 9 months in my squadron, barely broke over 100 hours flying (boo hoo). I felt robbed, but this opportunity feels like my one chance to get back to what I love. Unfortunately, I don't believe the Air Force is going to follow through with it; I don't think they'll have a choice. After talking to fellow 11X and 18X pilots, I don't think many RPA guys are going to volunteer for more austerity, more work, and more inaction from AF leadership and choose to stay in. The Air Force simply won't have the RPA manning numbers to justify releasing anyone back. This feels like a giant carrot on a stick - something to keep me working hard because "there's still a chance!" I'm not sure how credible a plan like this can be. Curious on everyone's take on this situation. Instead of re-explaining the whole plan I've cut and pasted information from an email I received from a Squadron Commander a few weeks back concerning my aforementioned dilemma. · MQ-1/9 Pilots: o All ops locations projected to hit 100% manning in the Jan-Feb ’17 timeframe o ALFA return (i.e. pilots sent from manned acft to fly MQ-1B/9) should be expected at around 10-15 total from MQ-1/9 § Priority will be competitive and 11R/11B will take priority over MAF assets due to manning levels § Spring and beyond *should see returns of around 30-40 per VML cycle § *dependent on no change to USAF CAP commitments or authorization increases · This is what I need from officers: o I will be sending a separate email to all members on Initial Fall VML; however, please engage me soonest if you wish to volunteer to move to Holloman AFB. o As stated above, AFPC is projecting ALFA tour pilots (i.e. people that used to fly manned acft and were sent to MQ-1B/9s for a tour) to start to be released back to manned acft. This will initially be a very small number and gradually grow if manning projections remain the same and USAF does not increase manning requirements (i.e. more CAPs, increase pilot to CAP ratio, etc). As such, I encourage you to engage me if you wish to re-cat to MQ-9 career field (i.e. officially change your AFSC to reflect that you desire to stay in RPA career field). o Of note, the general focus remains on increasing manpower at Holloman AFB Formal Training Units while also increasing/maintaining healthier manpower levels across RPA community as a whole. Removed some personal / needless information. Interested in hearing what guys who've seen the manning ebb and flow think. Ka1ax posted a topic in What Are My Chances? Marine officers training with Air Force UAV/RPA pipeline. I'm a Second Lieutenant in the Marine Corps and was recently informed that I will be attending IFS in Pueblo, CO followed by some school in San Antonio. Does anyone know what this process is like? Have there been many Marines that have came through this pipeline in the past? I understand what IFS is, but what is the curriculum in San Antonio geared towards? Any information on this topic would be very helpful. Thanks! 29 May I start the four month long RIQ/RFC training and some classmates and I are looking for alternatives to living in VOQ at Randolph. I have heard some rummors about furnished houses or PIT pads that are setup for guys going TDY there. Anyone know a good resource for finding a place for longer TDYs or own a place they need to rent for a few months? How about any info on the minimum information the AF will need to reimburse us for renting a place durring TDY? Special way the lease would need to look? ect.